YD yells at Tan, “If you miss her, then go see her.” Tan replies he isn’t going anymore. “You can have her.” YD grabs Tan by the collar and pulls him up. He demands, “What did you say? Do you want to die? Do you have the right to break down?” Tan says, ”No, he doesn’t.” Looking at Young Do tearfully, Tan says, “I can’t do it, Young do.” Angry, YD throws Tan down and walks away. Tan struggles to get up, but he can’t. Won notifies his dad of Yoon’s new position. Dad scoffs that Yoon is only capable of reaching that high. Won and Dad go back and forth through the story of Guan Yu from the Three Kingdoms. Dad tells Won he can go now, but Won says he didn’t come to see dad. Right then Tan comes in, and everyone is shocked by how roughed up Tan looks. Tan ignores everyone and just goes to his room. Won enters Tan’s room and says,”Get up. Let’s go to the hospital.” Tan says get out, but Won reminds Tan that he promised to do everything he said. Tan screams, “Get out!” Won yells back that Tan doing this won’t change anything. Broken, Tan pleads to Won, “Hyung, when do I go to the U.S.? I’m think I’m really going to die. Please send me. Please save me.” Tan weeps, and Won looks at him sadly, worried. Won is back at Zeus hotel, and he runs into YD. He notices YD’s broken lips, and on instinct he asks if Tan fought with him. When YD says he hit Tan because he deserved it, Won asks why YD hit his little brother. YD snorts- he’s not supposed to hit kids with older brothers, but he forget that Tan had a brother since Tan never shows it. Won retorts dryly that Tan must not have friends either. CY and BN are at MS’s studio, studying for the final exams, but CY is also looking at his phone. BN thinks he is looking at pictures of her, but CY is actually checking ES’s SNS status updates. BN reads through the messages too and finds it strange that ES replied to her own questions- where are you, I’m drinking right now- but we know that it is Tan and ES’s old chat record when Tan was logged into her account. ES’s mom asks him if he is ES’s classmate; is he close to ES? 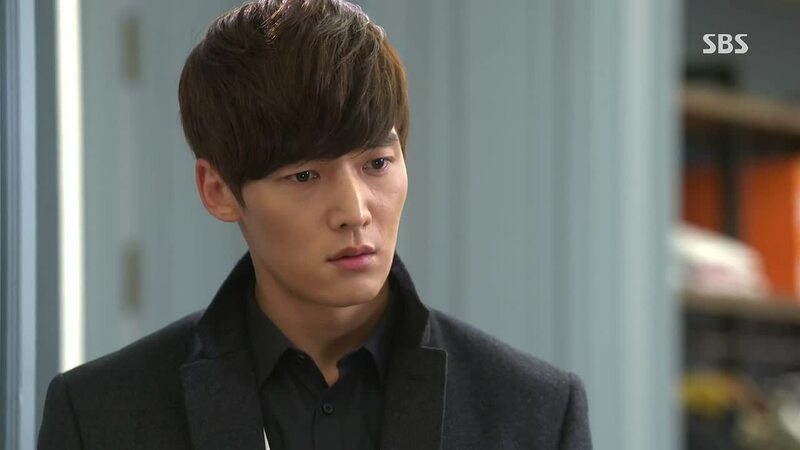 YD, not wanting to be her friend, replies, “I like ES.” ES is meeting with Tan’s dad. Dad informs her that he knows where ES is living and that she met Tan. He scolds her for her audacity when she starts to say Tan’s name, but ES continues- “Tan is a kind, honest, and warm child. 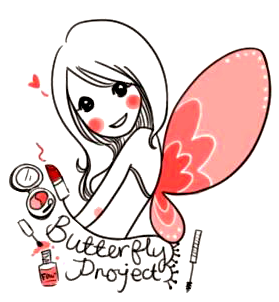 And that is why I liked him a lot.” Dad asks how can she be so impudent. 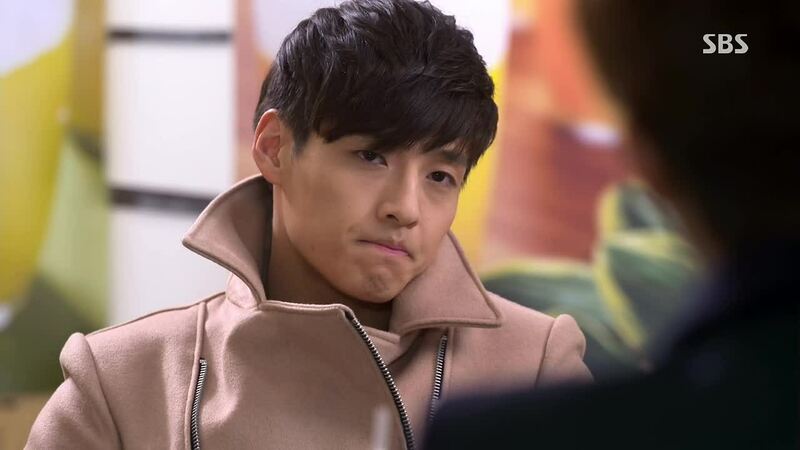 Eun Sang replies it’s because it was not wrong to like Tan. Dad says it is wrong because she received his money and then still liked his son. ES replies that she will pay him back. Dad wonders if she means then she will see Tan again once she pays him back. “Why does a young thing like you have no fear?” ES replies, “Because I like Tan. My feelings for him haven’t changed. No matter how much you try to scare me and how much I am scared of you, I can’t lie that I don’t like him anymore.” But because he is telling her not to meet Tan, she won’t. “So please don’t call me anymore.” ES is staring despondently into the closed dream catcher store. Tan is walking nearby, and he sees her. She sees him. They stare at each other for a while, she unsure and Tan emotionless. 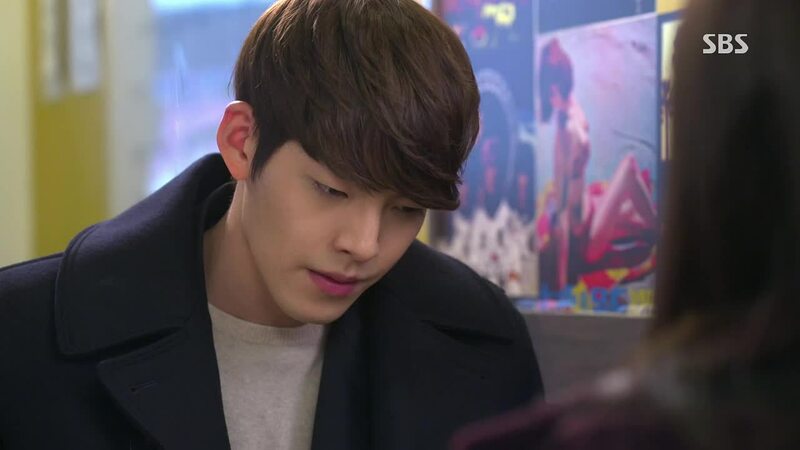 Eun Sang is about to say something, but as she looks at his unchanging and emotionless expression, the words won’t come out. He starts walking towards her, and she starts walking towards him. They come so close, yet are so far as they just pass each other by. They continue to walk away from one another. Then, Tan stops. He turns around and runs back to the store. He searches for ES, but he can’t see her. He dashes off once again. Eun Sang is sitting in the bus going back to her new home. Tan runs in and takes a seat next to her, across the aisle. They’ve arrived at the seaside town. 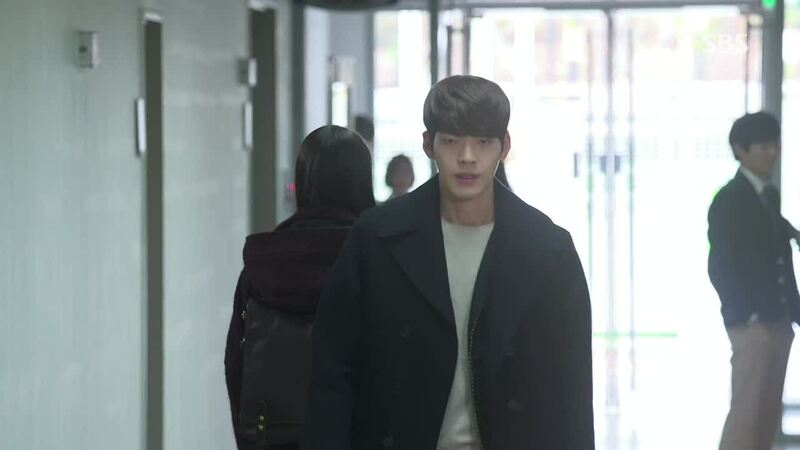 As ES walks home, Tan follows silently behind. ES is aware of his presence, but she doesn’t turn around. She walks into her house, and Tan stops afar, watching her go in. Behind the door, ES cries. Then, ES rushes outside, wanting to see Tan, but she doesn’t find him outside. She runs further down the path, but Tan is already gone. She doesn’t see him anywhere. 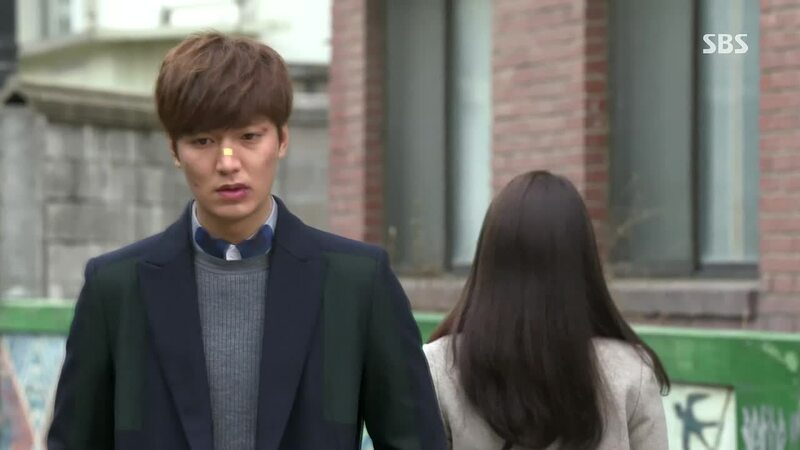 ES is walking home dejected, when she lifts up her head and sees Tan standing in front of her. Tan asks, “Why did you look for me?” Scared, ES replies, “Don’t talk to me.” He starts to come towards her so she cries out, “Don’t come,” as she back away. She turns around to walk away, but Tan runs up and hugs her from behind. 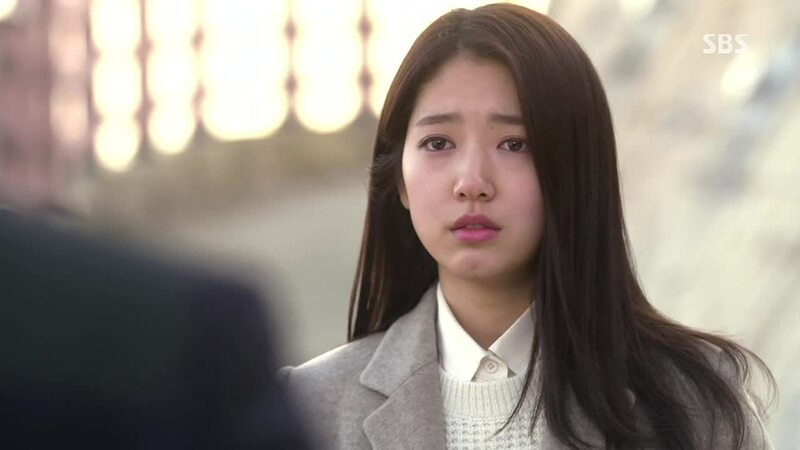 Eun Sang cries, “Don’t do this,” but Tan says, “I can’t let you go.What are you going to do?” ES just breaks from the hug and walks away, tears falling down her face. Back at the Kim house, Dad is cutting up KA’s heart. He says she and Tan are alike, having the same passionate blood that made a lowly information desk employee like her cross the threshold of the chairman’s door. Why is Tan unable to give up even one thing when he is already living in the lap of luxury? 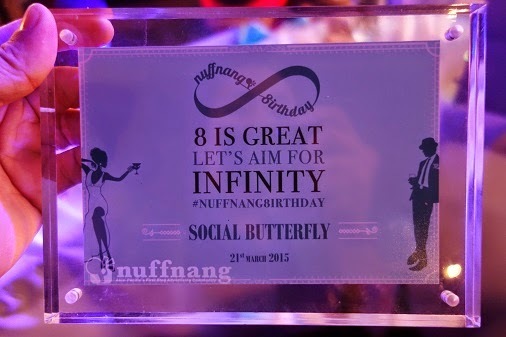 KA is deeply hurt; how can he say that to her? He is the one that told her to come over, that it was okay. Evil man replies that he is regretting it now- that he made his house a laughing stock after being bewitched by something cheap and shiny. “Tell Tan this. That when he doesn’t know what to choose, to choose the most expensive thing. The cheaper it is, the shinier.” KA calls him cowardly and asks what has she been to him. Dad replies, “I’ve just been telling you this. Why are you asking again?” Die, evil man, die. 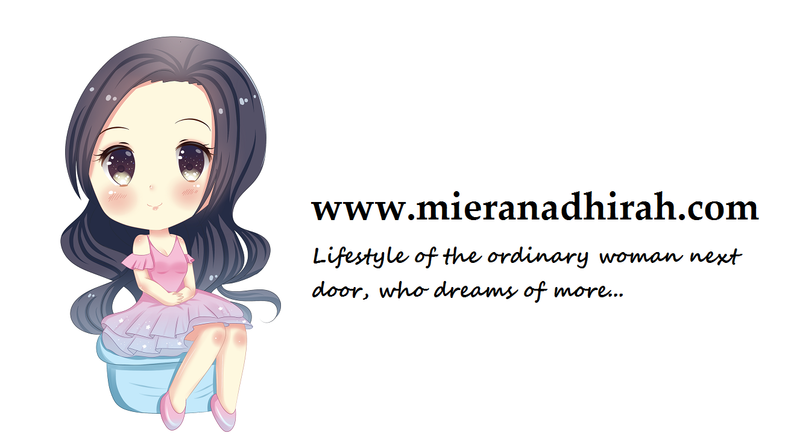 Alone in her room, KA looks at her wretched image in the mirror. She starts to take off her jewelry one by one. Won and HJ lie in bed together. Won fiddles with HJ’s wishbone necklace, and he asks if she has a wish. HJ says he won’t be able to make it come true, and he wonders if it is marriage. HJ says it’s not something that trivial. Won asks, “Is marriage trivial,” so HJ says, “You must be sorry for going to that meeting with the prospective marriage partner.” Won wonders why she isn’t asking him anything about the woman- name, age, is she pretty- and HJ replies its because she is confident she won’t lose to that woman in those areas. Won laughs and agrees. 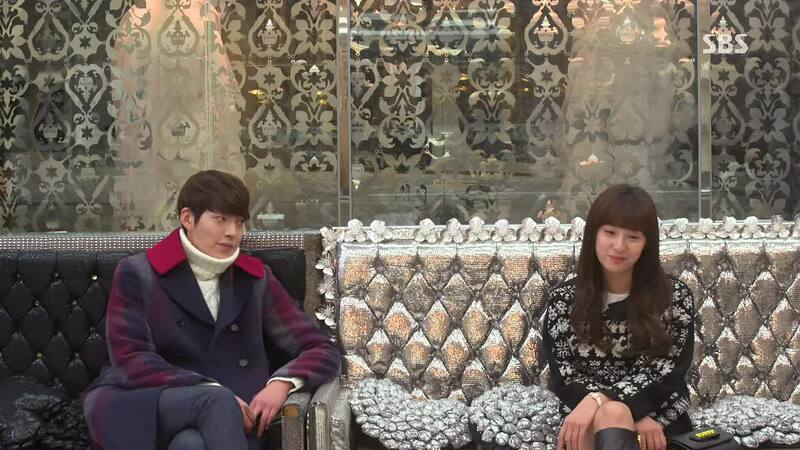 Won wonders if he did what Tan did , would he and HJ not have ended up like this? HJ asks what Tan did. Won replies, “He’s become cold and vicious, butting heads with anyone, breaking and cracking. 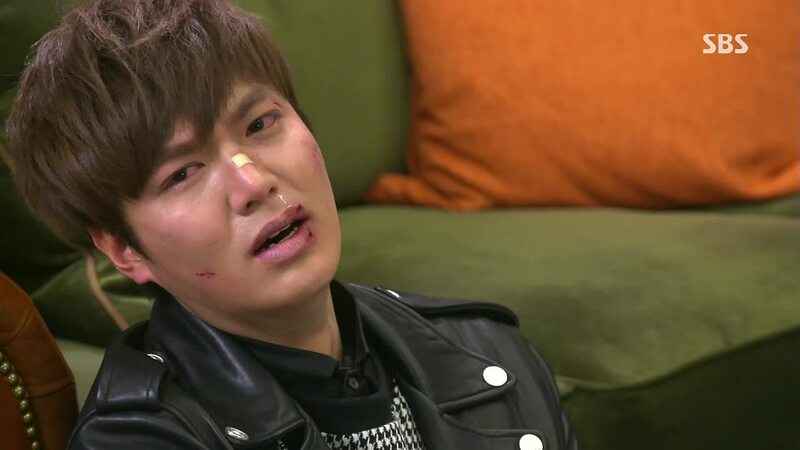 He’s a mess.” HJ says Won can’t do that- Won dreams of the world’s highest place but Tan dreams of Eun Sang being his world. HJ says she won’t interfere with him; he should just go up. Won replies that he is on his way down. “Please wait a little more.” ES is working at the bookstore. She reads a paragraph from the book “Wonder Boy” by author Kim Yeon Soo. Our hands holding onto each other as we escaped from amongst the people that time. The bone, muscle, and veins that strained to not let go, it’s almost everything of the love I know. What other love is there besides that? Just, besides the fact that I couldn’t let go of that hand. Won goes down to the winery expecting Tan to be there. He is. Won reminds Tan that he said he will do whatever Won wanted him to do, and Tan, thinking that Won is finally sending him to the U.S., asks when. Won says something completely unexpected to Tan. First, he wants Tan to do well on his finals. He grits his teeth as he warns Tans against placing last again. Won hands the note ES left for him to give to Tan. He says he thought of not giving it to him since he really had no reason to, but, “If this becomes the reason for you to live, try to live. You asked me to save you.” Tan reads the letter. 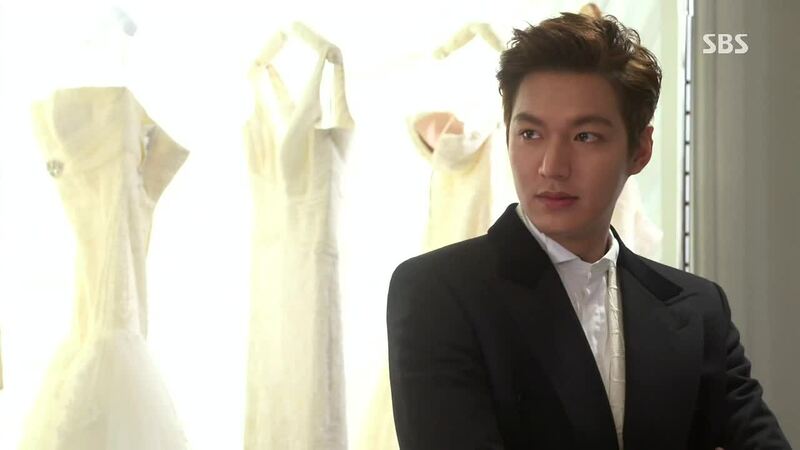 To Kim Tan. The seasons have changed twice, and the summer we met is distant like a dream. That place was too hot in the day, at night it was too cold, and I liked you. The us who became blinded by each other, our temperature that was too hot and too cold, will I be able to forget? I’m sorry for running away like this. I’m sorry for lying that I will wait for you at home. 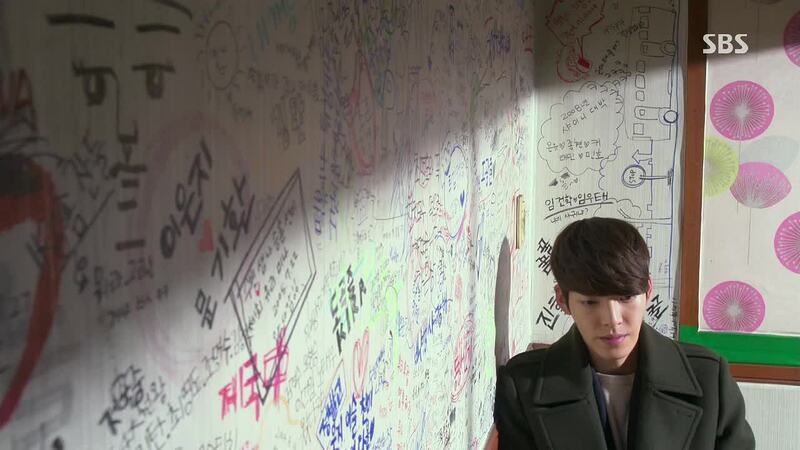 My fortune amongst misfortunes, Kim Tan. Now I am really disappearing like a dream dreamt yesterday. 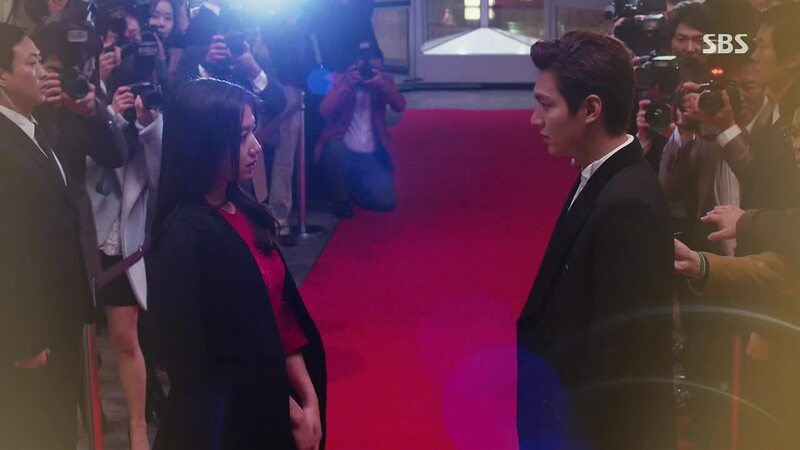 In that dream, I was happy to meet you, Kim Tan. ES dons her Jeguk High uniform again. Tan is sitting on bench at school. 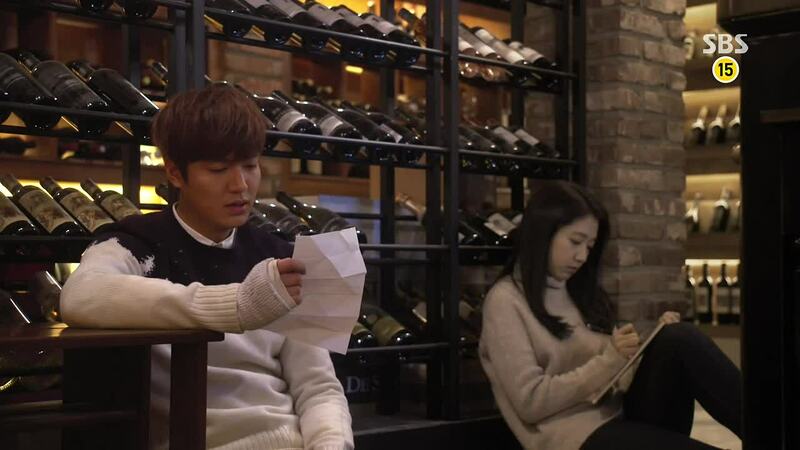 Someone sits beside him, and when Tan turns to see who it is, he is shocked to see Eun Sang. 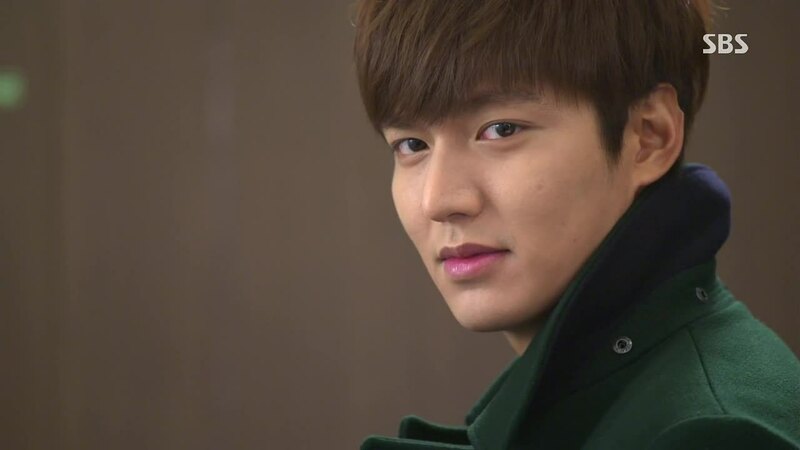 Eun Sang smiles as Tan’s eyes take her in, trying to decide if he is really seeing who he thinks he is seeing. 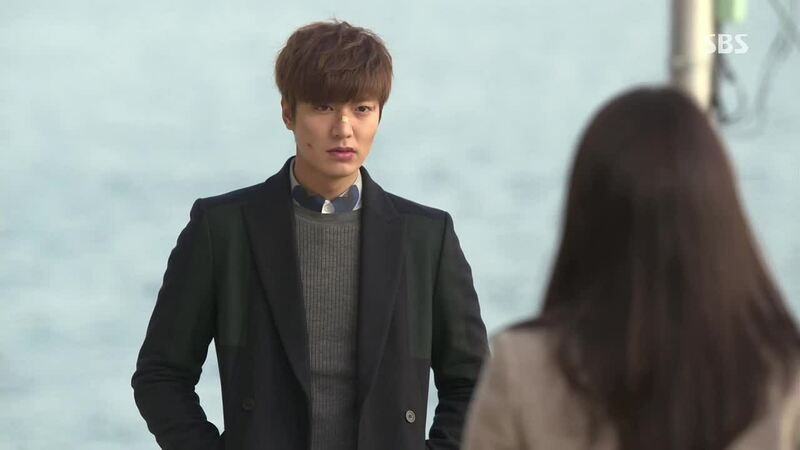 ES breaks the silence, saying, “Hi, Kim Tan.” She asks if he studied a lot; she didn’t so she is worried. His eyes never leaving her, Tan whispers, “Is it really you?” ES remarks that she wanted to ask before, but why is his face like that? She asks gently, “What happened, you idiot?” Tan: “You left.” ES: “I came back now.” She promises, “I won’t run away now. First, I will take the final exams. Then, I will make up any excuse. In that way, I will stay here. 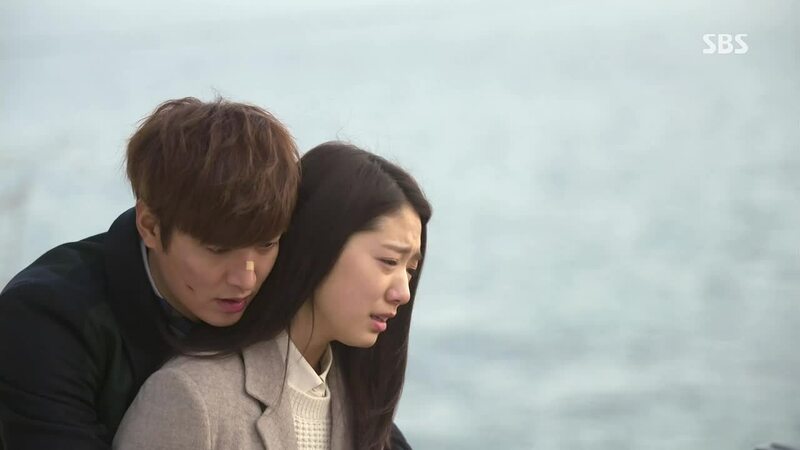 Besides you.” Tan urgently pulls her in to hug her tight, hearing the words he wanted to hear so desperately. Both smile, relieved to be in each other’s embrace again, solid, whole, not a dream. YD has comes to school, and he overhears some students say that ES is back. Right then, he sees her down the hallway. She walks toward him, and she starts to say his name, but he won’t even look at her as he walks away. He’s not ready to face it yet- the reason why she came back. ES enters the broadcast room to find CY and BN there. They scold her for worrying them. They are happy to see her again; BN especially, hiding it behind the pretense that ES’s absence just causes trouble for the broadcast club. But we know it is all lies as BN hugs ES, and I smile along with ES at BN’s cuteness. Still not looking at her, YD asks, “So you’re determined to walk down that path.” ES replies, “I’ve come to want to.” YD stops eating. He finally looks at her as he tells her to not get hurt as she battles with the chairman. “If it is hard, just drop to the floor. 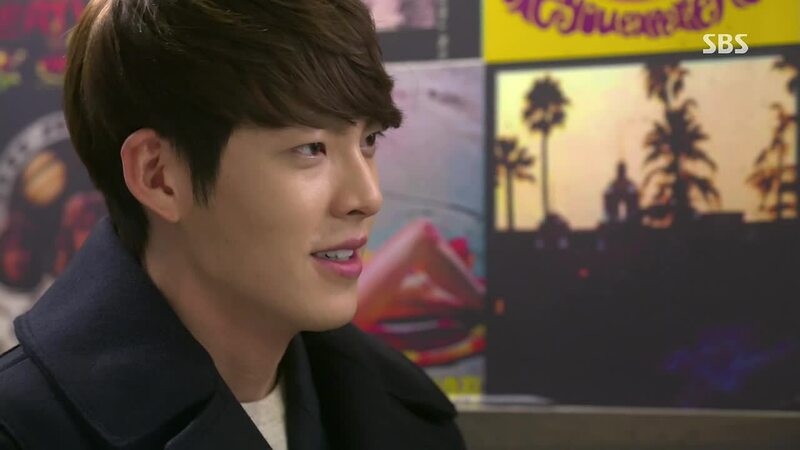 So I can mock you saying, ‘I knew it this would happen.’” Eun Sang says she will. Young Do says he ate well. “Bye. Let’s not see each other anymore. I’m dumping you right now.” ES asks, “We can’t at least be friends?” YD reminds her that he said to her before he doesn’t do things like that. She was a girl to him from the beginning. Even now. And from now on, she is his first love. “Let’s not even say anything if we see each other.” Even after much time passes. 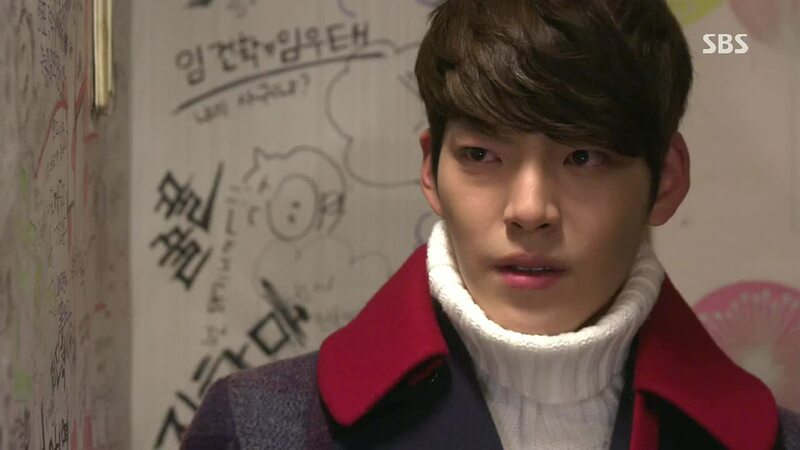 YD leaves Eun Sang. He walks away from her, steps heavy as he says goodbye to her in his heart. 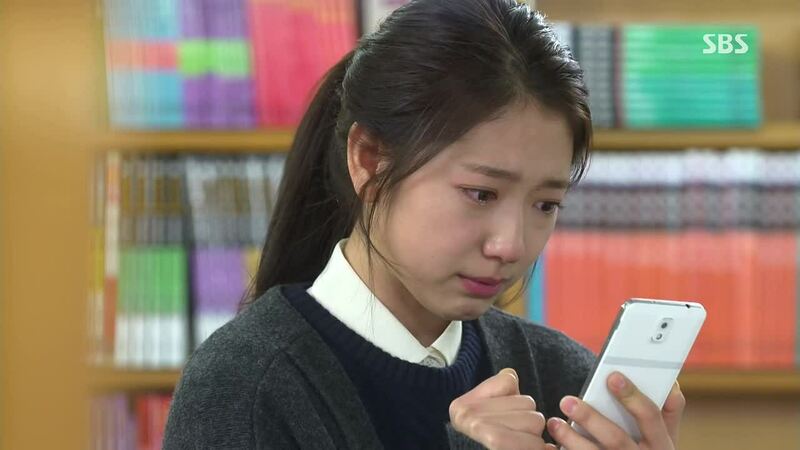 BN texts Eun Sang, yelling at her for not coming home- Eun Sang is to sleep at BN’s place tonight. ES texts back, saying she is sorry but she found someplace else to sleep. Hehe, ES is with Tan at MS’s studio, and this is Tan’s happy face. Man, I missed that stupid grin. Tan asks who she met, and ES replies, “A friend who doesn’t want to be my friend.” I think Tan understands who she is talking about. He asks if ES told BN that they were together right now, and ES replies, “Something similar.” Tan comments that she is too obedient today. ES explains that it’s because she doesn’t want him to leave. ES states the next pretext that she has come up with for staying next to Tan- she has nowhere to sleep. She asks Tan to also give an excuse to be with her. Tan: “I like you.” ES looks a little disappointed: “That’s the small excuse?” Tan: “I missed you.” ES: “A smaller excuse.” Tan lets out a deep breath as he looks away. “I thought I was going to die.” He said to himself that he won’t smile, live well, or love someone. He said he will become the most miserable person in the word. 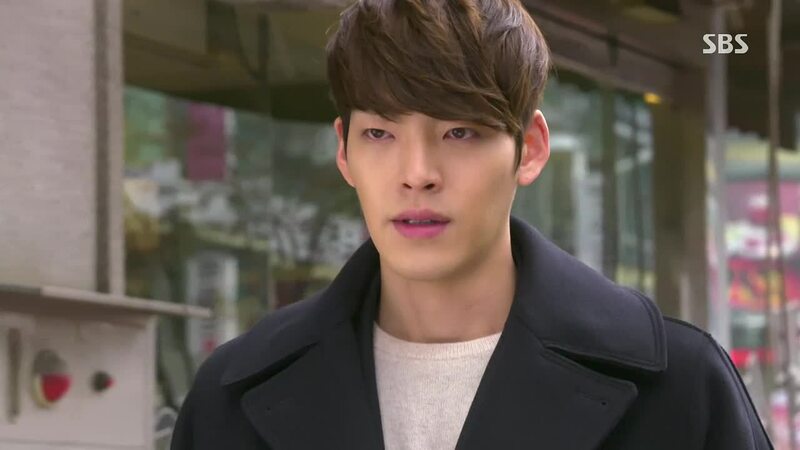 He turns to ES again- “So don’t ever leave me again, Cha Eun Sang. 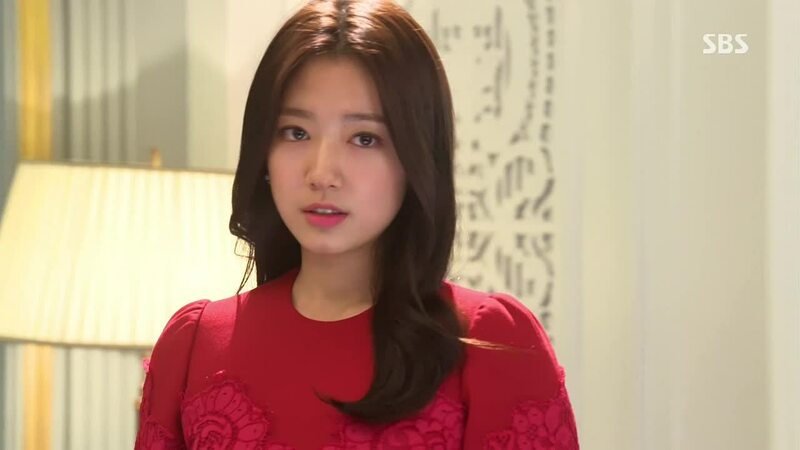 You understand?” Eun Sang eyes fill with tears as she nods yes. 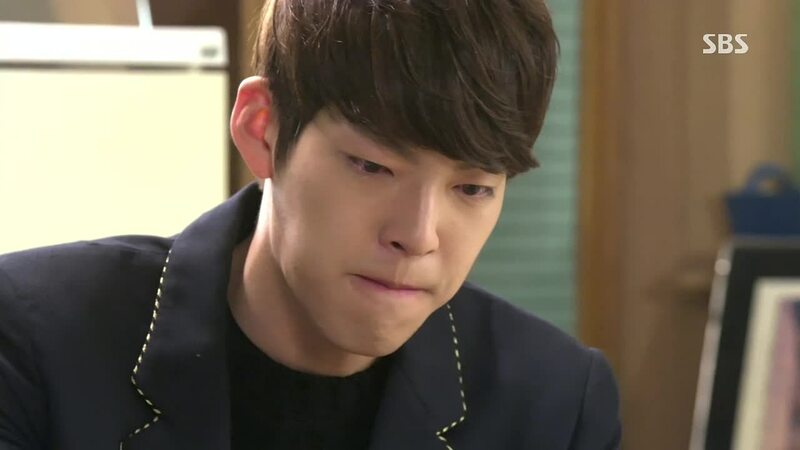 Eun Sang takes Tan’s hand and interlocks fingers. They smile at each other, happy again. Next day, Tan and ES are walking hand in hand to school together. Tan asks how ES can study all night. They get into a cute banter over who is going to get a higher school for the final. ES then remarks that she is sorry to MS because she is not even paying to stay in his studio. Tan replies that he has something he is getting angry at himself for these days- it’s the fact that he is still a minor. He says there are many different meanings behind that. First, it’s because a minor’s truth is often seen as a pubescent complaint. ES points out that there is no solution but to grow older. Tan asks mischievously if she doesn’t want to hear the second reason, and ES, catching that glint in his eyes, immediately rejects his offer. KA calls Tan, asking why he didn’t come home last night. Where was he? Tan reassures his mom that he slept at MS’s. KA asks when he will come home, and then informs him that she might not be here then. She explains she is just telling him this, when presumably, Tan asks she is telling him this kind of stuff all of a sudden. She tells him to take the test well, and hangs up. KA traces the picture of her and Tan that she is packing in her suitcase. KA and Dad. KA says she wants to break up with him. Dad calls her crazy. KA says she wants to live looking at the real sky. Dad can’t believe what she is saying. KA says she will do what Tan wants. For his future, she wants him to stay at jeguk, but if he wants to leave jeguk, she will let him. KA says goodbye, “However the start, I loved you.” KA is saying goodbye to dad, saying there is not even a picture of them together. 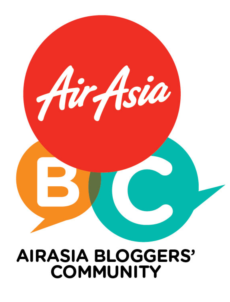 Dad’s spy says he will take KA to the airport. This surprises her. Dad says she is mistaken if she thinks she can leave just as she wants. He is sending her to the U.S. She can rest there until she gets over being hurt by what he said to her before. Outside the house, KA sees the chance to run away, and she takes a taxi. The spy chases after her. 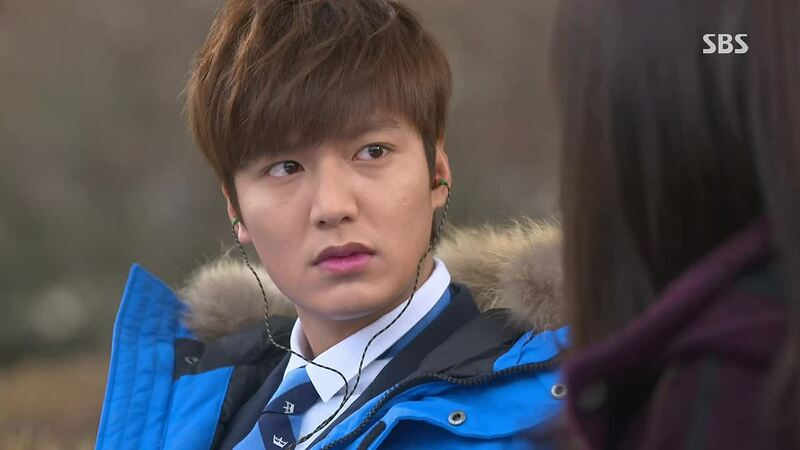 KA arrives at Jeguk High, and she calls Tan, but there is no answer. YD is about to drive past the school, but he sees her and stops. He gets out and bows to her politely. He nervously asks why she is here, adding that he is sorry for before. 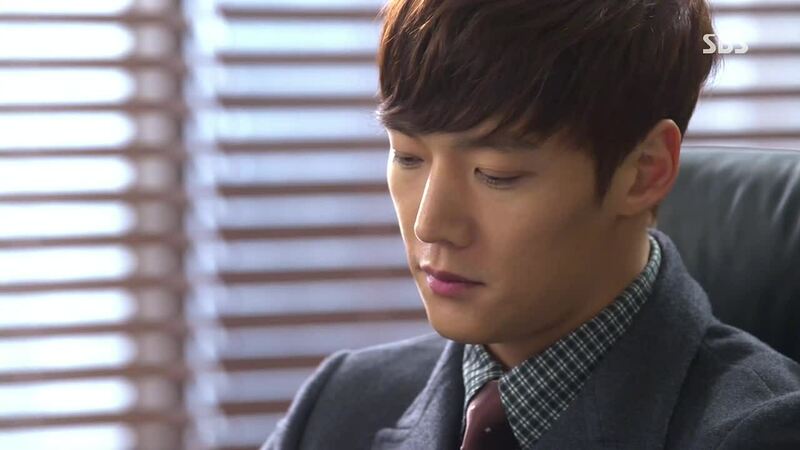 But KA is in a hurry, and she just asks YD if he has seen Tan around; can he find him for her? She has no time, and she can’t go inside the school because of JS. YD immediately ushers KA into his car, telling her to wait there. YD dashes off, running as fast as he can to find Tan. This scene is interlaced with cuts of young Tan doing the same thing for YD in the past. YD thankfully finds Tan very quickly, and he leads Tan to his car where KA is. He sends them off quickly before the spy arrives. The spy just misses them. Alone, YD imagines his own mom asking the other students if they know where he is. 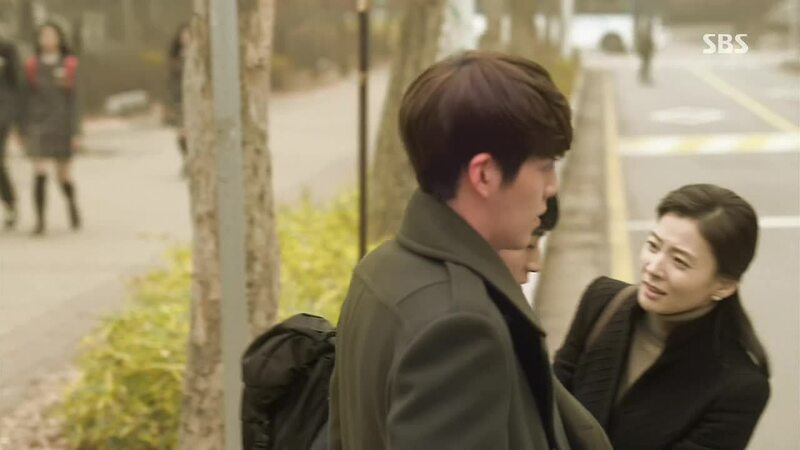 Young Do walks past the non-existent memory of his mom as he heads back to the place he lost his chance to see her. Also the last place that has any trace of her left. KA and Tan. Tan asked if dad and mom really broke up. She says yes but Tan suspects something else since she had guards chase her. Tan then sends KA to YD’s hotel for now. Tan is back at home, talking to dad. He says he will take care of mom now. How? By parting with him. Tan says he will leave the house. 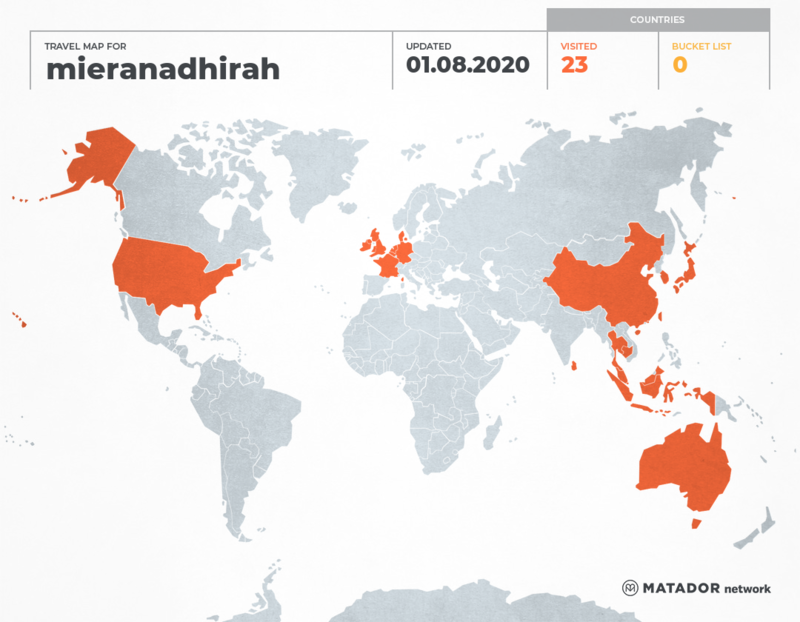 He will live with KA as her family. Everything that made him happy, his dad didn’t allow. JS and dad at hospital. Apparently, dad feigned illness but Tan, Won, and KA didn’t come to the hospital. He instructs JS to plan Tan’s b-day just like Won’s. Won has called Tan to his office. He wonders if Tan has heard that their dad is in the hospital. Tan hasn’t, and he asks why. Won says Tan doesn’t need to know or go to the hospital either. Won reminds him of their deal again. Tan wonders if it is because of him, and Won flatly says it’s not. Won then tells Tan to tell his mom that she can stay at the Cheongdamdong villa. Won: “In your mother’s choice, there is a part of it that is due to me.” Tan looks at Won and says, “Hyung. I liked you, hyung. You were the only person I could lean on while living with Dad and JS, before Mom came into the house. I’m sorry for leaning on you as I wanted to. I’m sorry for all the bad things I did and said to you.” Won curtly replies, “Don’t apologize. It makes me uncomfortable.” Won starts talking about Tan’s b-day party, but this is the first time Tan has heard of it. Won realizes that this party is just being used by their dad to domesticate Tan. Won tells him that dad has gone all out, calling reporters to the party. 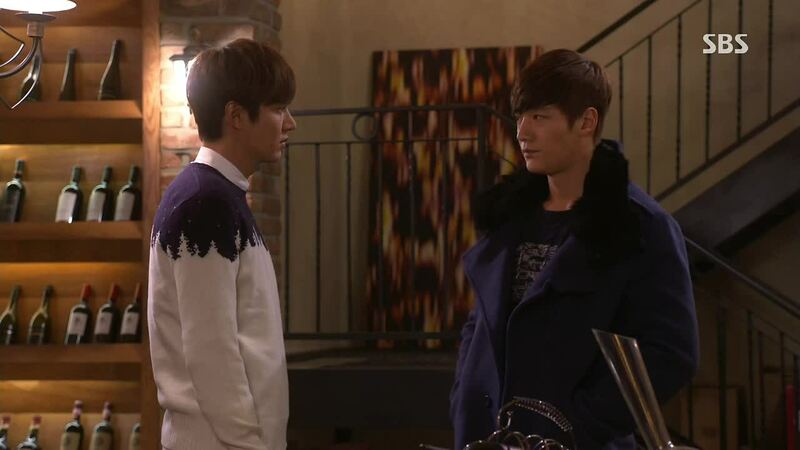 Won tells him to choose, and Tan says he will go. He asks Won to be there too. Just as Tan is leaving, Won wishes him a happy birthday to his back, not even looking at him. Surprised, Tan turns around, but Won is embarrassed and won’t even meet his eye. Tan smiles, happy. Tan has sent some people to pick up ES.